If TV spots for tax prep software are popping up alongside the usual beer and car insurance commercials, you know April 15th can’t be far away. Doing taxes is America’s most popular and least favorite activity. Of course, every do-it-yourself tax preparation software promises an easy process and big refunds. We put those promises to the test with a serious tax geek who spent six weeks filing every kind of tricky tax return we could think of. Our favorite is TurboTax (available at Intuit for $59.99), thanks to its easy-to-understand tax questionnaire, inviting user interface, and outstanding customer support. To find a winner, we evaluated the mid-price options from three of the most popular companies in the tax prep space: TurboTax, TaxAct, and H&R Block. Each offers a variety of options that can tip that price up or down, including free filing under certain circumstances. More importantly, each excels at a different type of support. So while we think TurboTax is the best for the most people, it's valuable to know what TaxAct and H&R Block bring to the table. This review is an evaluation of the consumer experience using various tax prep software services. We’re here to share what we learned, but this is in no way a substitute for financial advice. Please consult a financial professional if you have questions about how to file your taxes. TurboTax has earned every cent of its reputation as the go-to choice for easy tax filing. The user experience is as slick as it gets. From the moment I started using TurboTax, I got the feeling I was benefitting from hours of market research and thoughtful software engineering. Their ultimate aim, it seems, is to evoke the feeling of doing your taxes with a trusted, knowledgeable, and emotionally-sensitive friend. Case in point: The questionnaire begins by asking how you feel about doing your taxes, and provides recommendations and responses based on your answer. While it doesn't just do your taxes for you—there's still plenty of work to do on your end—the carefully guided experience is one that users come back to year after year. TurboTax asks questions in an intuitive way using normal English rather than tax jargon. When it asks about your marital status, you can say you’re married, single, or that it’s complicated. The Affordable Care Act is also called Obamacare. If you happen to be doing your taxes near your birthday, you’ll get a happy birthday message after you enter your date of birth. TurboTax is an Intuit product, which means that if you’re already using Mint or Quickbooks, you’ll be at home in the visual interface, and you’ll have the option to import financial information from Quickbooks. TurboTax uses plain English to ask you questions about your life, including your marital status. It also tells you why it’s asking questions – in this case, to determine your filing status. As with H&R Block and TaxAct, TurboTax provides you the option to upload last year’s return as a PDF or from a prior return completed in TurboTax. In fact, the program recommends uploading or importing forms whenever possible, to reduce the possibility of human error. It will import the employer information on your W-2 based on the employer’s Federal ID number, and depending on your financial institution, it might be able to import dividend income information directly from your bank. At the beginning, when you give it information about your tax year, it offers to provide you with a list of tax documents you need before starting your return. No more getting halfway through your taxes before you realize you don’t have something you need! TurboTax is also the only product reviewed that has an ancillary app: you can track your charitable contributions throughout the year using Turbo Tax ItsDeductible. TurboTax requires two-factor authentication on every sign-in on a new device, which sends you a code via email or text message to enter after your login information. This is pretty annoying if you’re signing in and out a lot using multiple devices, but it’s hard to argue with extra security in the wake of the Experian breach, and it shouldn’t bother you often if you’re always using one device. You have the option to enable or disable this feature in your Intuit account settings, but surprisingly, the program does not provide information about why you might want to leave two-factor authentication enabled on public and shared devices. Support and service of this magnitude doesn’t come cheap, and it’s easy to figure out how TurboTax generates the profits to provide it – throughout the tax prep process, you’ll see ads designed to upsell you to higher-priced tax preparation products. No matter which option you’re using to file, you will see ads selling the live CPA/EA connection (the most expensive preparation option) and there will be periodic offers of audit protection with corresponding reminders of how terrible audits can be. All the TurboTax editions available for 2018. Free customer support is available through the process, however. The TurboTax help line was easy to find, and if you choose phone support, you won’t have to wait on hold – you’ll enter a phone number where TurboTax can call you. When I tested the option, the phone rang less than 30 seconds later, but I called early in tax season – it’s likely that wait times will increase as it gets closer April 15. When I got the call, an automated voice confirmed I still needed to speak to someone, and a live person helped me shortly afterward. As with H&R Block and TaxAct, TurboTax has two tiers of customer service: product support and tax support. The product support folks are pretty much what you would expect from average customer service phone support. The tax support was a step above; the person I spoke to was clearly well trained, and I got the impression the person was working from a very thorough playbook designed to help someone through using the software. The person asked if I was online, and provided clear, accurate guidance through the part of the questionnaire I had a question about. Even with the upselling, TurboTax’s ease of use, smooth questionnaire and excellent customer service earned it top scores. To simulate the experience of a variety of taxpayers, we developed four personas and completed their taxes using TurboTax Deluxe ($39.99), H&R Block Deluxe ($34.99), and TaxAct Plus ($27)—the mid-priced options from each company. We considered other services, including Tax Slayer, but chose to focus on these three in consideration of timeliness. Updates and expansion may be forthcoming. Personas: One persona was a recent college graduate with various sources of income and health insurance purchased through a Healthcare Exchange; the next a young couple with a toddler, student loan debt, and mortgage debt; the third an older couple with a college-age child paying tuition and contributing lots to retirement; and an older single person just short of Medicare. These four personas were designed to trigger different parts of the tax software questionnaires, including questions related to traditional employment income (W-2s), mortgage interest, student loan interest, Healthcare Exchange payments, Health Savings Accounts, dependents, the Child Tax Credit, dependent care costs, investment income, tuition and school costs, and self-employment income and taxes. For each of the personas, I entered numerical data based on national averages and educated estimates to simulate the results of a real taxpayer. I only entered information into the federal questionnaires. State filings were not considered. 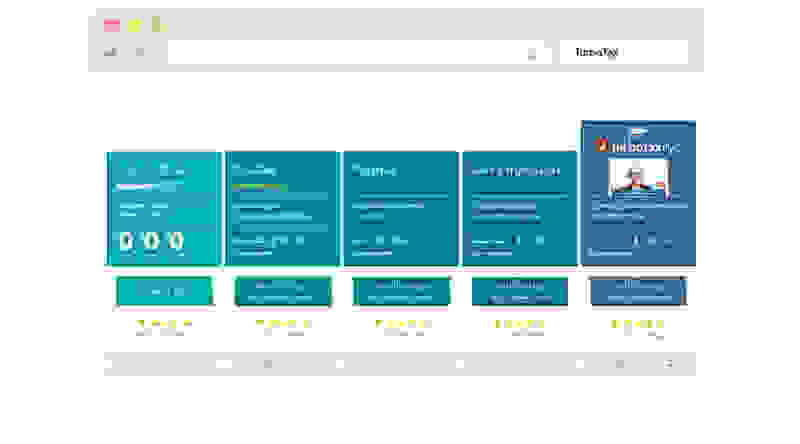 - Personal adaptability: how well did the software respond to the information from each of the personas, and how confident does it make the user feel that the numbers are going in the right places? - Product experience: how easy is the software to use entering and/or uploading information? - Customer support: how easy is it to find customer support, and how good is the support the user receives? Scores were weighted to value the guidance the software offers and its ease of use, and superlatives were chosen based on the scores and my user experience. Incidentally, I paid nothing for all this testing – none of the products ask you to pay until you are ready to file. As such, the only thing you’ll lose by trying out more than one software option is time. If you start using one product and decide you don’t like it, you can complete your taxes using another product at no monetary cost. I’m a human and I pay taxes, just like you. But probably unlike you, I enjoy it! I have a Bachelor of Arts in Mathematics from Hamilton College and a Graduate Accounting Certificate from the University of Connecticut School of Business, where I’m currently working to earn my Master of Science in Accounting. My mother was an accountant and prepared tax returns as a home business when I was a child. I can still remember sitting under her desk, mercilessly using up the precious, expensive “File Copy” and “Client Copy” stamps she used on those tax returns and listening as she asked her clients about mileage and depreciation. I giggled when a client sent her a joke Christmas gift: two thumb tacks stuck into the floor of a tiny wooden house. It’s… a tax shelter. Get it? When I was young, I used to prepare fake forms and wish I had someone to ask to sign them. Surprisingly, I played alone a lot. If you’ve ever found yourself thinking, “Just show me the 1040, for heaven’s sakes,” TaxAct is for you. It’s a quick and easy option with one caveat—familiarity with the tax preparation process and tax jargon is all but required. More efficient than TurboTax, but with less handholding. The TurboTax and H&R Block questionnaires don’t allow you to navigate to specific parts of the questionnaire until you’ve answered basic questions, but TaxAct lets you choose immediately: follow the questionnaire or simply navigate to the sections you need. Either way, you’ll want to have some tax knowledge. The direct-navigation option requires you to know just what you’re looking for. 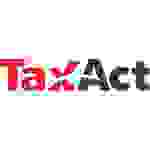 Though the questionnaire might seem easier, TaxAct doesn’t skip rare-case questions the way TurboTax and H&R Block do, and all those detailed questions could be confusing if you’re not used to speaking tax language. On the other hand, seeing all those questions means it’s almost impossible to miss out on a deduction or a credit, because you get to see everything you could possibly use. The questionnaire helps when it can, too: it populates some fields for you based on your answers to previous questions (zip code, employment industry), which sets it apart from TurboTax and H&R Block. As with TurboTax and H&R Block, you have the option to upload PDFs of certain documents instead of typing in the information, and to upload an old TaxAct return to help with completing a new return. If you decide to enter your information by hand, TaxAct has a neat feature: an interface that mimics the look of your tax form called Quick Entry. It’s easy to know you’re putting your numbers in the right place when the form on your screen looks just like the paper in your hand. On some of the questions, it provides space to record notes, so if you would like to leave a reminder of why you answered a certain way, the program can record it for you. The TaxAct filing process is different from TurboTax and H&R Block in that it allows you to compare your return to national averages (income, taxes paid, etc.) and to compare this year’s return to a prior-year return to help you catch errors. TaxAct employs two-factor authentication like the other software products but gives you the option to designate safe devices, so you won’t have to get a one-time code every time you log in from your home computer. The program provides information about the risks associated with enabling this feature on public and shared devices, and you have the option to change your choice later in your account settings. The only upselling I experienced was when I was almost ready to file; TaxAct offers audit defense for $39, with an option to enroll within 30 days of filing if you don’t want to enroll while filing. Also, related to security, TaxAct was the only product that showed me a privacy statement upon creating my account. I think I’m like most users in that I didn’t read it thoroughly but seeing it engendered trust in the company generally. All the TaxAct editions available for 2018. Once I managed to get someone on the phone, TaxAct’s customer service personnel made the most positive impression on me regarding product customer service and did just as well with tax customer service as TurboTax and H&R Block. Unfortunately, the contact phone number is hidden at the bottom of certain (note: not all) help questions. On each page within the questionnaire, you have very easy FAQ and chat options, but if you want to talk to a live person, you will have to do some digging. The first time I called I couldn’t find a contact number for TaxAct within the tax prep software – it took long enough that I ended up just Googling TaxAct Customer support and got a phone number that way. It’s clear that they don’t want masses of folks on the phone with their customer service staff, because nearly the entire time I was on hold, I heard messages directing customers to look at the Help and FAQ sections online. TaxAct phone support is only available to filers with a paid product – if you’re doing your taxes for free, you won’t have access to phone support. TaxAct packs a hefty punch for the lowest-cost product reviewed. If you’re more comfortable than most with your taxes and know which parts of the return you need, this budget option could be the right choice for you. From strip mall to shining strip mall, H&R Blocks have dotted the landscape of America for decades. 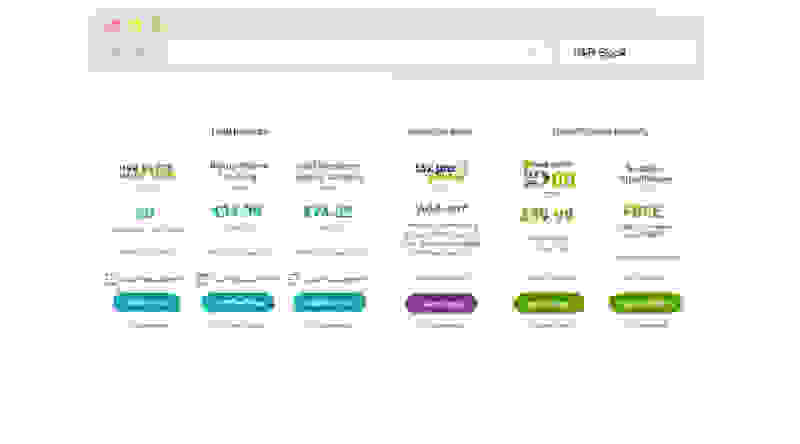 Despite the threats to brick-and-mortar businesses in the age of the internet, H&R Block has weathered the storm fairly well, pairing the ease of browser-based home filing with the safety net of a live tax professional within a few minutes’ drive. That peace of mind that comes with actual face-to-face time is something that the online-only services can't replicate, so it's easy to see the appeal even if many people never opt to use it. The H&R Block experience has a lot in common with TurboTax in that it checks in with you about how you’re feeling, and offers assistance based on your answers. As with TurboTax and TaxAct, the program provides you the opportunity to upload your prior-year taxes in PDF format or start with a prior-year return completed using H&R Block. I particularly liked the H&R Block questionnaire because it explained why it asked certain questions, which made it possible to use more specific or technical tax language while keeping the user informed and comfortable. The explanations identified specific forms, deductions, or credits, which can help experienced users know what information the program is looking for. This is the home view of H&R Block. 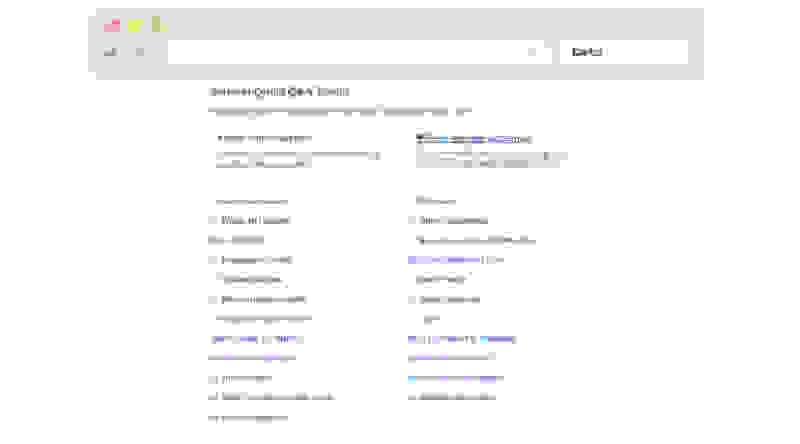 Access questionnaires and the filing process using the buttons on the top horizontal menu. There were some problems, however – the H&R Block questionnaire took me through a long series of questions about itemized tax deductions before ultimately deciding I should receive the standard deduction. It seemed like this section of the questionnaire was designed to prevent the user from mistakenly missing out on an advantageous collection of itemized deductions, but it could easily result in someone spending a lot of time answering questions that won’t save them any money. Additionally, at three points throughout the questionnaire, the software summarizes your total income, deductions, and credits. This is great once all your information is entered, but it will just be confusing if you haven’t completed the form yet. And finally, what can only be called a recurring glitch: logging out and back in again can displace you in the questionnaire. As with TurboTax and TaxAct, H&R Block requires you to provide two-factor authentication when you log in. Like TaxAct, however, it allows you to designate safe devices and avoid the hassle from your personal computer. 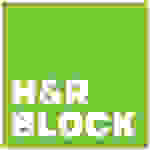 The major benefit of H&R Block is that it offers the greatest number of options for tax preparation: online do-it-yourself, at three tiers of service; online do-it-yourself reviewed by a tax professional; remote tax preparation by a tax professional, or a visit to an in-person location. Make sure to read the fine print on the pricing structure when you’re choosing your options, though. 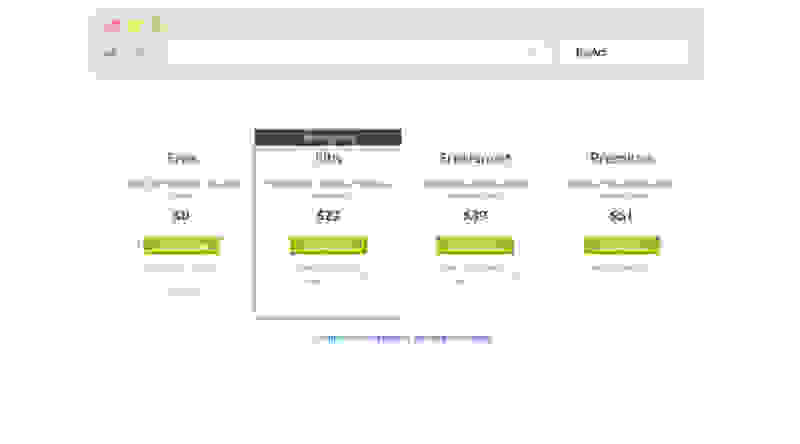 H&R Block is quick to show off the low cost of federal filing with additional state-filing costs of hidden in small grey font. H&R Block will also try to sell you on Tax Pro Review, but at a lower cost than TurboTax ($80 versus $150). All the H&R Block editions available for 2018. Help from H&R Block is very easy to find but at the Deluxe level, the only interactive help option you have is chat. During the chat, the auto-text says that the customer service representative is “listening” when you’re typing and “responding” when they’re typing, which reminded me of the gentle way TurboTax handled its interactions with users. My experience was that the product customer service was average, and the tax customer service was well prepared and helpful, just like TurboTax. H&R Block provides a quality product and is the only company to offer an in-person tax preparation option, but for the price tag, I would have expected a higher level of functionality and customer service, hence the third-place finish.